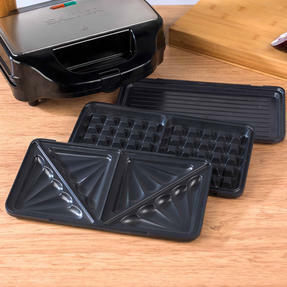 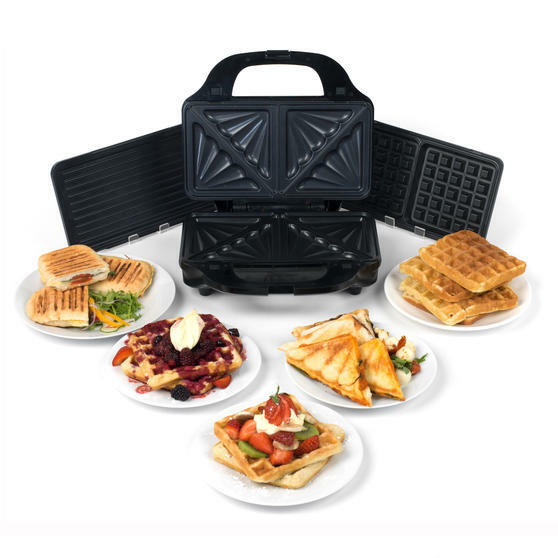 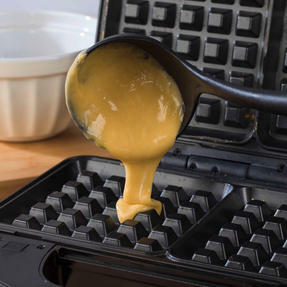 Create delicious waffles, toasted sandwiches and paninis in one unit with this Salter 3 in 1 snack maker featuring extra large cooking plates for larger, deeper, extra filled snacks. 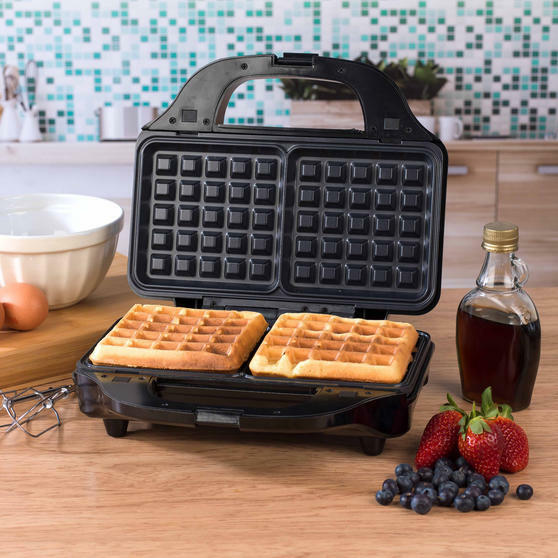 The power and ready indicator lights make it incredibly easy to use, while the cool touch handles provide safety during use. 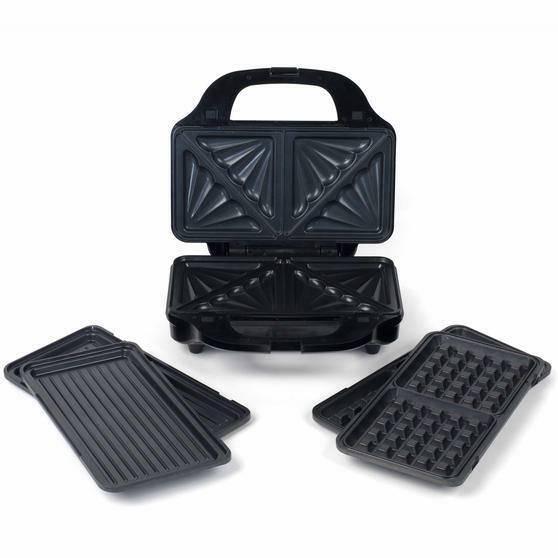 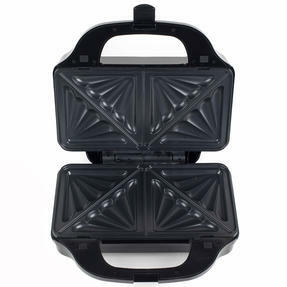 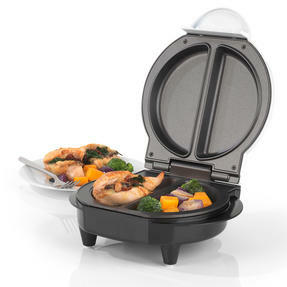 It comes with 3 sets of removable top and bottom cooking plates for an even, thorough bake and because the plates are non-stick the treats will easily be released once they are cooked. 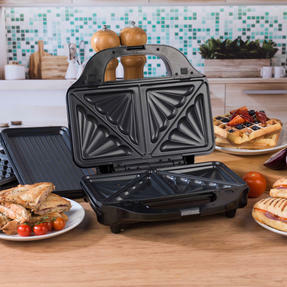 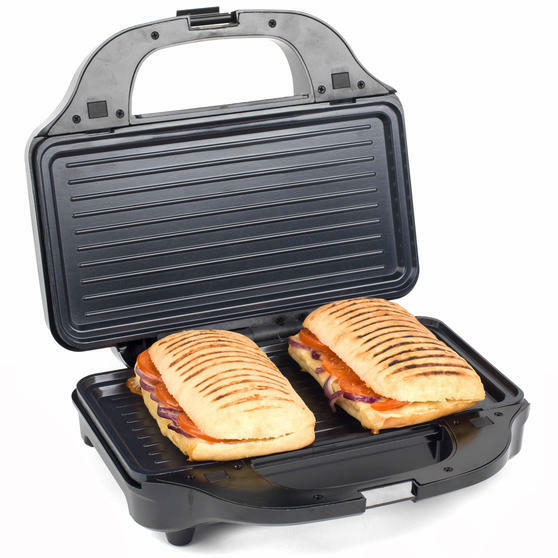 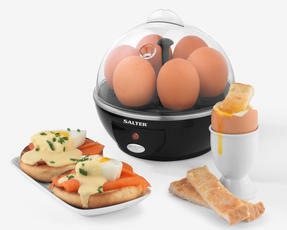 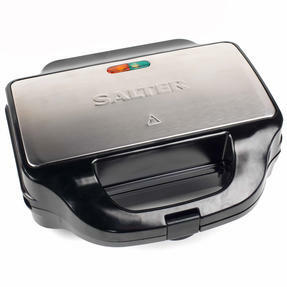 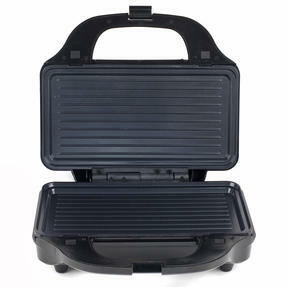 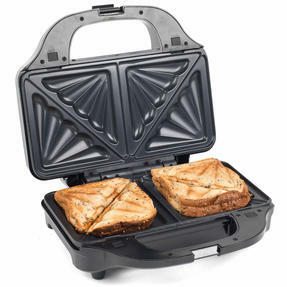 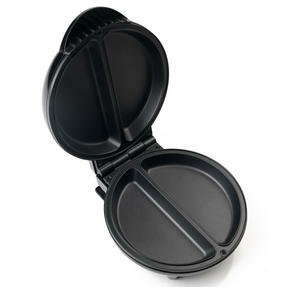 This fantastic Salter 3 in 1 Snack Maker comes with interchangeable top and bottom waffle, panini and toasted sandwich grill plates. 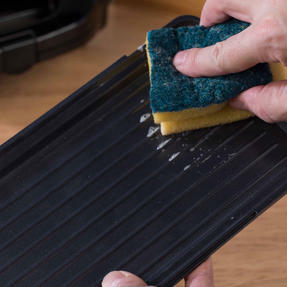 The plates are wonderfully non-stick to release the snacks without tearing or crumbling and to make cleaning easy with no scrubbing. With power and ready indicator lights, easy to remove plates and a locking latch, the snack maker is simple and safe to operate. 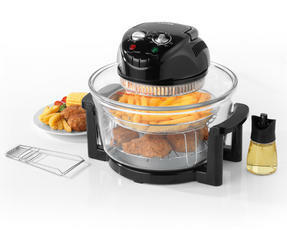 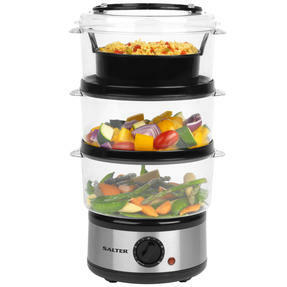 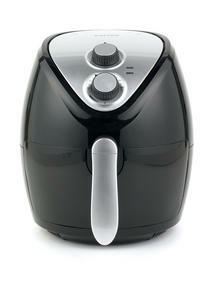 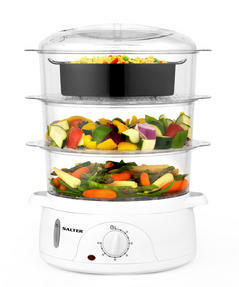 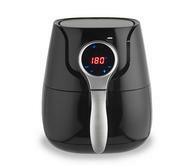 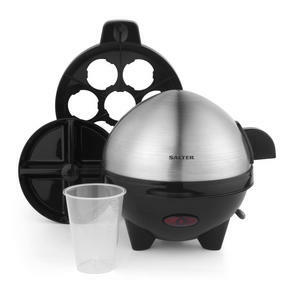 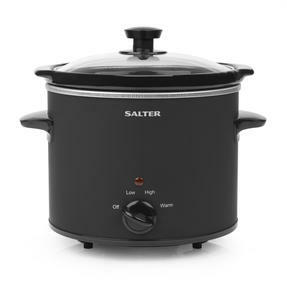 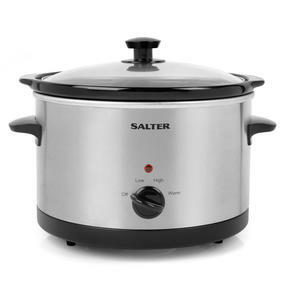 It has 900W power and features extra large cooking plates for deep filled snacks so you can enjoy fuller, thicker and tastier treats. Follow the recipes included then serve your toasted sandwich or panini with a side salad and pair your waffles with ice cream.